We want to introduce the next project by Tea-Powered Games. 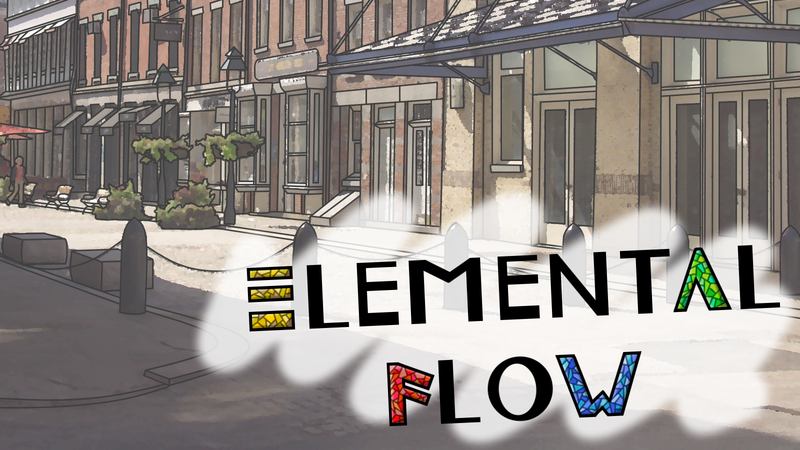 Currently called Elemental Flow, this game will also be about conversation, but in a very different way to Dialogue. For the last three days, we’ve been game jamming. It was our first time, and it was a great experience! We were fortunate enough to be teaming up with Victor Ojuel for writing, the theme was ‘A Small World’, and the three of us are pretty proud of our game: Nightwards, Heartwards. Here at Tea-Powered Games we talk about dialogue quite often, but what is it that good dialogue could add to your game? In the case where you use dialogue to add new kinds of play to your game, it gives players a change of pace, a new mechanic to play with, or different kinds of goals. If you tie dialogue to your game’s current mechanics, fans of those mechanics will get to interact with them more, and experience more interesting variations. More importantly, entirely new stories and games become possible when you start thinking about conversation as a part of the game rather than just more words on screen. It sounds great, doesn’t it? Unfortunately, figuring out what kind of dialogue your game needs is not very straightforward.